Unit 16 comprises a modern retail warehouse unit with a very prominent glazed frontage. 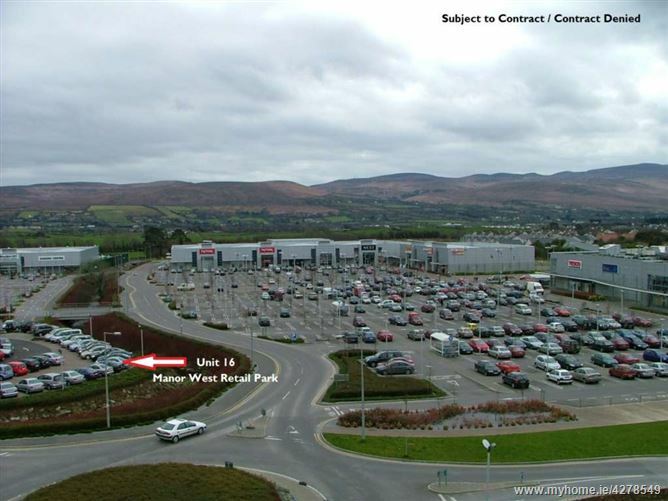 The unit extends to approx.745m² at ground level and is currently laid out in a predominantly open space retail area with various offices as well as toilets to the rear. The first floor area, which is accessed via a spiral staircase, extends to approx.190m² ans is currently laid out in a number of offices as well as a staff area and toilets. The external area, to the front and sides of the unit, is laid out in approx. 50 car parking spaces, which are personal to this unit. 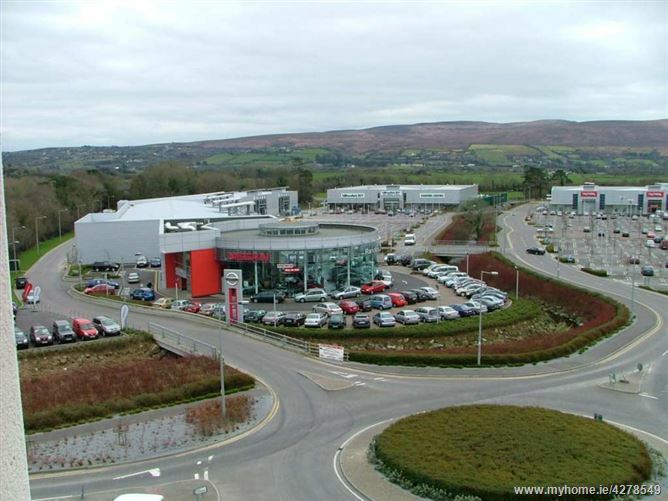 The unit is located in Manor West Retail Park, which is located just off the main N21 and approximately 1km from the centre of Tralee. 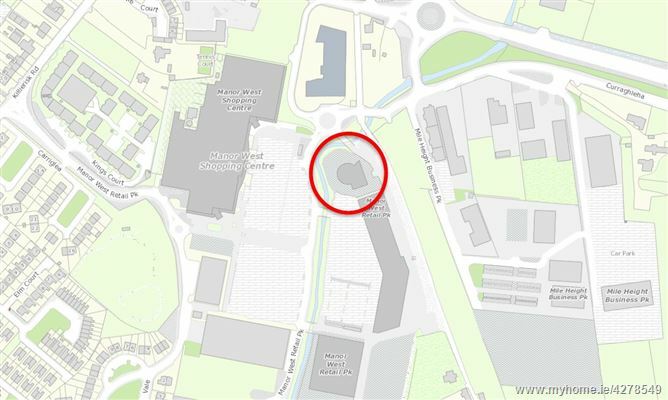 Manor West consists of a shopping Centre (anchored by Tesco and and Debenhams) and adjoining Retail Park (anchored by Woodies and TK Maxx with Next, Homestore + More, Smyths Toys and Halfords amongst others). Manor West is serviced by over 1,000 free car parking spaces. By appointment only. Joint agents Property Partners Gallivan & Colliers International.